Howdy Lovelies! In case you've lost count, we are on day 13 of our Halloween countdown. I can't believe all the awesomeness that is out there in blogland. 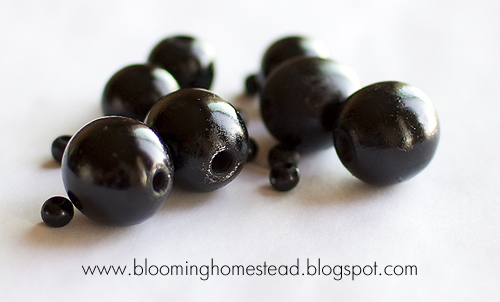 I am also so impressed by all of your craftiness and getting to have you as guests on my blog is always a treat. 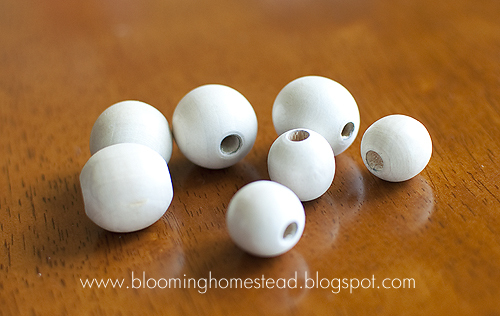 Today we have Marie from BloomingHomestead. She pretty much rocks the crafting world and I am glad she was able to create a fun simple project for all of us today. 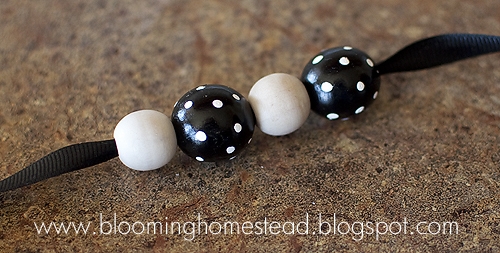 I started with a wood bead necklace I found at the thrift store for less than a dollar. I cut the elastic cording to release the beads. I loved how there were many sizes to choose from! 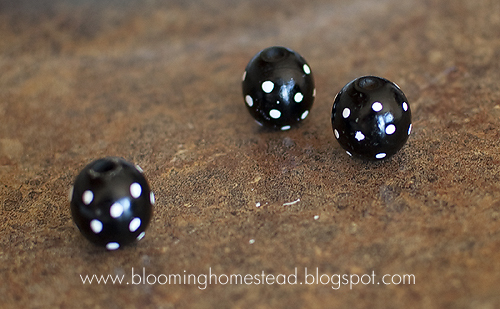 I took some white paint and a little brush and just did dabbed little bits of paint to make polka dots. I let it dry and then sprayed it with poly. 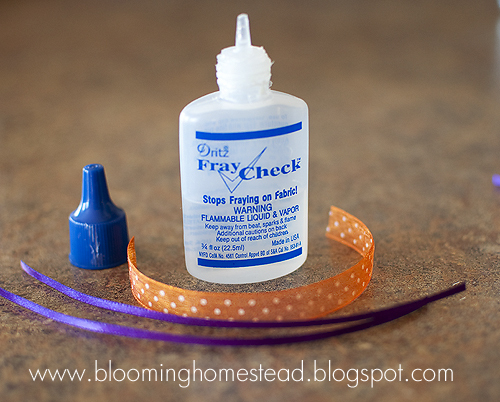 After the painted wood beads were dry, I went to my ribbon stash and picked a nice black grosgrain ribbon. 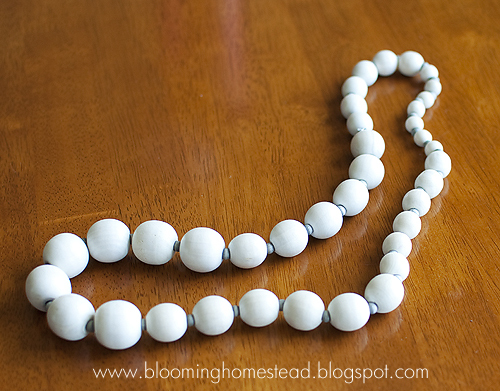 I threaded the beads on alternating different kinds. Some plain, some painted. After I got it to my desired length leaving enough tie it off, I cut the ribbon and added some fray check. 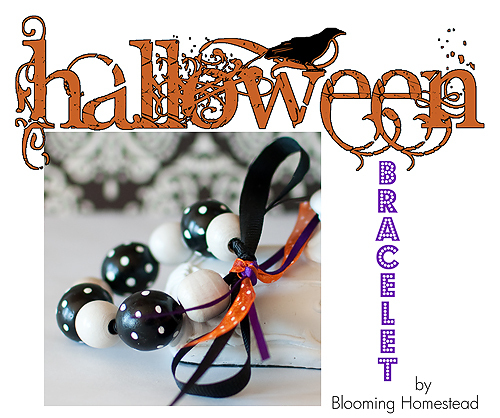 I also gathered up some accent colors to tie onto the bracelet to make it "halloweeny". Here is my finished product. I think it turned out so cute, festive yet not overboard! 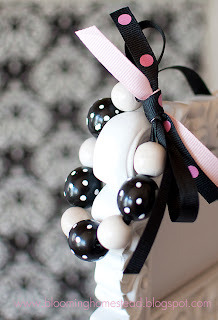 The best thing is that you can switch out the accent ribbons (see sample pic below) and make it more versatile for year round accessorizing. Here it is with pink accents. 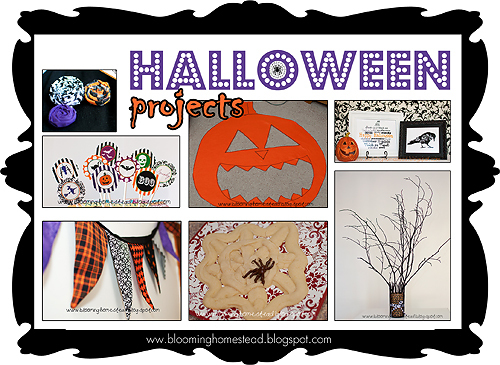 I would love to have you stop by www.bloominghomestead.blogspot.com for more Halloween crafting and free printables! Thanks so much for letting me stop by today! 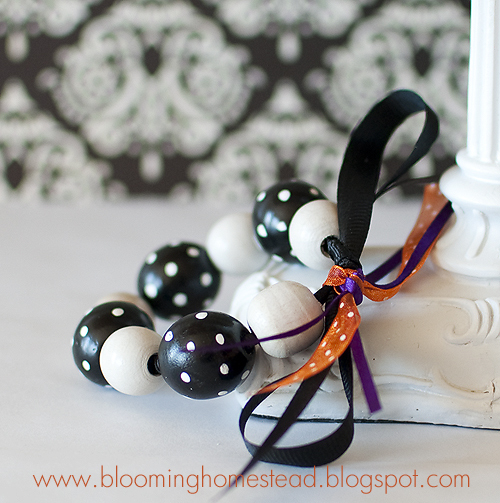 come back later on today for our Feature Friday Linky Party.